Washington • Former FBI Director James Comey is asking a federal judge to quash a subpoena demanding he testify before the House Judiciary and Oversight committees next month and postpone the testimony until that request can be ruled on, court filings show. In a strident court filing, lawyers for Comey wrote that the former FBI director was fighting the committee's bid to force him to testify "not to avoid giving testimony but to prevent the Joint Committee from using the pretext of a closed interview to peddle a distorted, partisan political narrative about the Clinton and Russian investigations." The committees last week issued a subpoena to Comey, as well as former Attorney General Loretta Lynch, as part of their investigation of two politically charged probes into Hillary Clinton’s private email server and possible coordination between the Trump campaign and Russia. Comey said on Twitter he was willing to testify publicly but would resist doing so behind closed doors. Comey was to testify on Dec. 3, Lynch on Dec. 4. 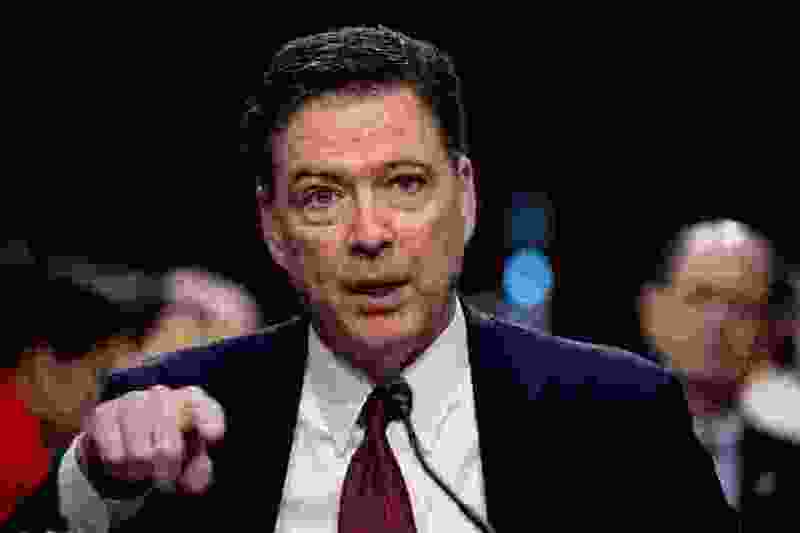 In the court filing, Comey's lawyers alleged the committees were "leaking what suits them," and - aided by President Donald Trump's tweets - were trying to promote the public narrative that Clinton was given "unwarranted leniency" by federal law enforcement while Trump was hit with "unwarranted scrutiny." "The broader purpose of these leaks and tweets appears to be to mislead the public and undermine public confidence in the FBI and DOJ during a time when President Trump and members of his administration and campaign team are reported to be under investigation by Special Counsel Robert Mueller and other law enforcement authorities," the lawyers wrote. A spokeswoman for the Judiciary Committee did not immediately return a message seeking comment.